We work with all insurance carriers (we will contact your insurance company and submit for you). We are happy to work with all insurance companies on these matters. You will enjoy the luxury and benefit of a top rated concierge environment without the hassle of long hospital waiting room times and paperwork. Most policies reimburse patients for most of the cost of breast reconstruction surgery. Our surgical coordinator will help you with a quote. The Women’s Health and Cancer Rights Act of 1998 is a federal law requiring any insurance company covering mastectomies to also cover all stages of breast reconstruction, including surgery of the unaffected breast in order to produce a symmetrical appearance, as well as coverage for prostheses and treatment of physical complications from mastectomy, including lymphedema. This applies to implant-based reconstruction as well as reconstruction using your body’s own tissues, regardless of whether these procedures are performed at the time of mastectomy or at a later date. We will work closely with you and your insurance company to make sure you receive the full benefits to which you are entitled. In almost all cases, if your insurance plan provides coverage for the cost of a mastectomy it must also, according to Federal law, provide coverage for the method of breast reconstruction you wish to undergo; this coverage includes perforator flaps such as the DIEP, GAP &PAP flaps, breast implants based reconstruction, as well as fat grafting. This law applies both to reconstruction done at the same time as a mastectomy, and also to reconstruction done at a later date. If a plastic surgeon in your network of participating providers does not offer the method of reconstruction you prefer, your insurer must still provide coverage, even if this means covering the cost of surgery with a “non-participating” physician. Please note this coverage will be provided in a manner determined in consultation with the attending physician and the patient. These benefits are subject to any deductible or coinsurance requirements that may apply to your coverage. State Laws: Insurance coverage is required for post-mastectomy breast reconstruction if mastectomy is covered. Alabama: provides that federally funded and publicly funded state programs that provide coverage for mastectomy surgery shall also provide coverage for breast reconstruction of the breast. [Section 22-6-10]. Alaska: enacted in 2000; conforms state law to the federal standards. The bill directly refers to the specific federal requirement: (A health care insurer that offers, issues for delivery, delivers, or renews in this state a health care insurance plan providing medical and surgical benefits for mastectomies shall comply with 42 U.S.C. 300gg-6 and 42 U.S.C. 300gg-52 regarding coverage for reconstructive surgery following mastectomies). Arizona: enacted in 2000; conforms state law to the federal standards. The bill directly refers to the specific federal requirement: (A health care insurer that offers, issues for delivery, delivers, or renews in this state a health care insurance plan providing medical and surgical benefits for mastectomies shall comply with 42 U.S.C. 300gg-6 and 42 U.S.C. 300gg-52 regarding coverage for reconstructive surgery following mastectomies). Arkansas: enacted in 1997; covers prosthetic devices and reconstructive surgery. California: enacted in 1978; covers prosthetic devices or breast reconstructive surgery incident to mastectomy, including restoring symmetry; law was amended in 1991 to include coverage for pre-1980 mastectomies. Connecticut: enacted in 1987; covers at least a yearly benefit of $500 for reconstructive surgery, $300 for prosthesis, and $300 for surgical removal of each breast due to tumor. Delaware: enacted 2001; covers all stages of breast reconstruction including surgery and reconstruction of the opposite breast to produce symmetry; includes language stating surgery shall be provided in a manner determined in consultation with the attending physician. Florida: enacted in 1987; covers initial prosthetic device and breast reconstructive surgery incident to mastectomy; 1997 amendment states that the surgery must be in a manner chosen by the treating physician, and surgery to reestablish symmetry is covered. Indiana: enacted in 1997; covers prosthetic devices and all stages of reconstructive surgery, in the manner determined by the attending physician and patient, including reconstruction of the other breast to produce symmetry. Additional legislation enacted in 2002 requires coverage for post-mastectomy services regardless of whether the individual was covered under the policy at the time of the mastectomy. Kansas: enacted in 1999; covers breast reconstruction, including surgery of the other breast to produce a symmetrical appearance, prostheses and physical complications, in a manner determined in consultation with the attending physician and the patient. Louisiana: enacted in 1997; covers reconstructive surgery following a mastectomy, including reconstruction of the other breast to produce a symmetrical appearance, as agreed by the patient and attending physician. 1999 amendment conforms statute to federal law. Maine: enacted in 1995; covers both breast on which surgery was performed and the other breast if patient elects reconstruction, in the manner chosen by the patient and physician. Maryland: enacted in 1996; requires coverage for reconstructive surgery resulting from a mastectomy, including surgery performed on a non-diseased breast to establish symmetry. Michigan: enacted in 1989; covers breast cancer rehabilitative services, delivered on an inpatient or outpatient basis, including reconstructive plastic surgery and physical therapy. Minnesota: enacted in 1980; covers all reconstructive surgery incidental to or following injury, sickness or other diseases of the involved part, or congenital defect for a child. Additional legislation enacted in April 2002 expands language to specifically include benefits for all stages of reconstruction following mastectomy consistent with federal law. Also specifies that limitations on reconstructive surgery do not apply to reconstructive breast surgery following medically necessary mastectomy. Missouri: enacted in 1997; covers prosthetic devices and reconstructive surgery necessary to achieve symmetry, as recommended by the oncologist or primary care physician. Montana: enacted in 1997; covers reconstructive surgery following a mastectomy resulting from breast cancer, including all stages of one reconstructive surgery on the non-diseased breast to establish symmetry, and costs of any prostheses. Nebraska: enacted in March 2000; follows the example of the federal statute by requiring coverage for medical and surgical benefits for mastectomy and for all stages of reconstruction of the breast after a mastectomy has been performed and reconstruction of the other breast to produce a symmetrical appearance. The measure also requires coverage for prostheses and physical complications of mastectomy. Nevada: enacted in 1983; covers at least two prosthetic devices and reconstructive surgery incident to mastectomy. The law was amended in 1989 to cover surgery to reestablish symmetry. New Hampshire: enacted in 1997; covers breast reconstruction, including surgery and reconstruction of the other breast to produce a symmetrical appearance, in the manner chosen by the patient and physician. New Jersey: enacted in 1985; covers reconstructive breast surgery, including cost of prostheses. The law was amended in 1997 to extend coverage to reconstructive surgery to achieve and restore symmetry. New York: enacted in 1997: covers breast reconstruction following mastectomy, including reconstruction on a healthy breast required to achieve reasonable symmetry, in the manner determined by the attending physician and the patient to be appropriate. North Dakota: enacted 2001; specifies that health insurance policies may not be issued or renewed in the state unless they provide the benefit provisions of the 1998 Federal Womens’ Health and Cancer Rights Act. Oklahoma: enacted in 1997; covers reconstructive breast surgery performed as a result of a partial or total mastectomy, including all stages of breast reconstructive surgery performed within 2 years on a non-diseased breast to establish symmetry. Pennsylvania: enacted in 1997; covers prosthetic devices and breast reconstruction, including surgery on the opposite breast to achieve symmetry, within six years of the mastectomy date. Additional legislation enacted 2002 adds language consistent with federal law. Rhode Island: enacted in 1996; covers prosthetic devices and reconstructive surgery to restore and achieve symmetry incident to a mastectomy. 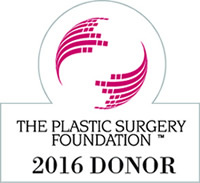 Surgery must be performed within 18 months of the original mastectomy. South Carolina: enacted in 1998; covers prosthetic devices and breast reconstruction, including the non-diseased breast, if determined medically necessary by the patient and attending physician with the approval of the insurer. Tennessee: enacted in 1997; covers all stages of reconstruction for the diseased breast, excluding lumpectomy, and procedures to restore and achieve symmetry between the breasts, in the manner chosen by the patient and physician, within 5 years of the reconstructive surgery on the diseased breast. Texas: enacted in 1997; covers reconstruction of the breast incident to mastectomy, including procedures to restore and achieve symmetry, for contracts delivered, issued for delivery or renewed on or after Jan. 1, 1998. 1999 amendment conforms statute to federal law. Utah: enacted in 2000; follows the example of the federal statute by requiring coverage for medical and surgical benefits for mastectomy and for all stages of reconstruction of the breast after a mastectomy has been performed and reconstruction of the other breast to produce a symmetrical appearance. The measure also requires coverage for prostheses and physical complications of mastectomy. Virginia: enacted in 1998; covers reconstructive breast surgery performed coincident with a mastectomy performed for breast cancer or following the mastectomy, and surgery performed to reestablish symmetry between the two breasts.Washington: enacted in 1985; covers reconstructive breast surgery if mastectomy resulted from disease, illness or injury. The law was amended in 1996 to include surgery to reestablish symmetry. West Virginia: enacted 2002, includes coverage for reconstruction of the breast on which mastectomy was performed and the opposite breast for symmetry; also provides coverage for prosthesis and complications all as determined in consultation with attending physician and patient. Wisconsin: Enacted in 1997; covers breast reconstruction of the affected tissue incident to mastectomy and specifies that such surgery is not considered cosmetic. Portions of your bill that are determined by your insurance to be patient responsibility are required to be completed in full at least two weeks prior to surgery. We accept all major credit cards, cash or certified cashier’s checks. We are available to aid in financing your procedure through CareCredit. Contact the office for more information. Dr. Blechman is a participating provider with United Healthcare (except Community Plan and Medicare plans), Oxford, and Medicare. If you are insured by a plan with which we do not participate, please know that we are very experienced in working with insurers to help you obtain coverage. 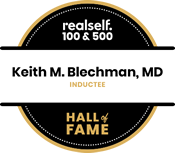 We are often able, on an individual basis, to obtain authorization to have your procedure covered, particularly for many of the complex reconstructive cases which Dr. Blechman performs. In all cases, we will work closely with you and your insurance carriers to minimize any out-of-pocket expenses. 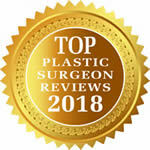 Dr. Blechman has operating privileges at Lenox Hill Hospital, New York Eye and Ear Infirmary of Mount Sinai, New York Presbyterian Brooklyn Methodist Hospital, Doylestown Hospital, Our Lady of Lourdes Medical Center, Jefferson Washington Township Hospital, and Jefferson Stratford Hospital.